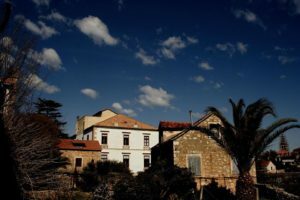 Artists interested in field recording and related musical practices are invited to a five day Audio Workshop “Architecture and time” in Stari Grad on island Hvar in Croatia headed by the musician and artist Schneider TM. The workshop took place in towns music school located in the Biankini Palace – Stari Grad Museum. Over a period of 5 days the participants explored the two parameters of architecture and time with the aim to translate them into music /soundscapes / audio pieces. Both topics were reflected in sound. One aspect is the architecture of the city itself and the other is the architecture of sound structures, whether it is a soundscape, sound art or a song. The aspect of time can be taken as history of the city, but also as linear sound produced by the use of architecture like reverb / resonance or by playing with the material structures of found architecture, formed by certain spacial specifications.The final works were presented in a live session in the museum´s garden. This is a short presentation of that presentation. This entry was posted in #39 and tagged Kanal 103. Bookmark the permalink.